Late last month I discovered a iPhone/iPad app that adds new life to photographs that I have taken. The app is called PIP Camera-Selfie Cam&PIP Collage&Photo Editor. This app provides the ability to quickly and easily be creative with your photographs. The app includes an abundance of templates that allow you to do fun things with your photographs. My favorite template by far is the snow globe template. Here is a collection of some of my snow globe creations, using the PIP Camera app. Do you have an Android device? PIP Camera is also available for Android devices. What are you waiting for? Install the app and have some fun! I purchased a new accessory for my camera, a RPS Studio Mini Soft Box. I purchased the mini soft box from Amazon.com. 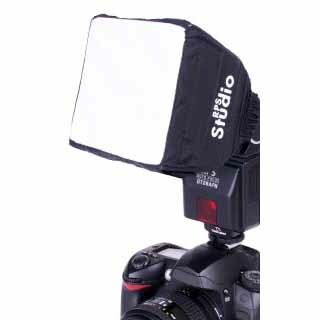 I was going to build a do-it-yourself diffuser but thought for the price I would try the RPS Studio Mini Soft Box. I took a self portrait, without the mini soft box (left) and with the mini soft box. I used the exact same camera / flash settings and post processing edits for both photographs. What a difference! The RPS Studio Mini Soft Box is an excellent addition in my camera bag. This past Sunday afternoon I photographed two adorable girls. Ava and Macy are 6-year-old identical twins. Ava and Macy’s mother and I met on a Facebook garage sale site. Anissa’s garage sale items are of interest to me, as I have twin granddaughters who are 4 years younger than Ava and Macy. Ava and Macy’s photo session took place at my house, both indoors and outside. I took the indoor pictures in front of a green screen backdrop. It was the first time that I used the green screen backdrop (or any backdrop for that matter) during a photo session. 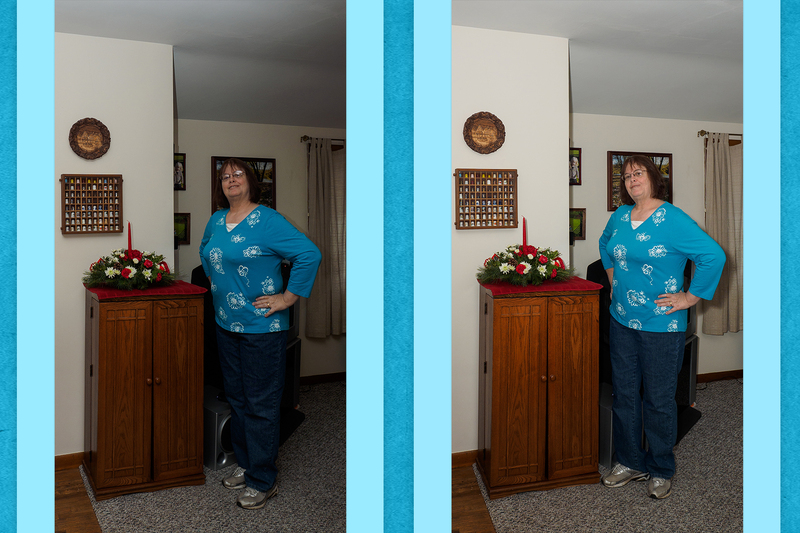 I replaced the green backdrop with a variety of digital backdrops, using Adobe Photoshop as an editing tool. I was very pleased with the results, as was Anissa!